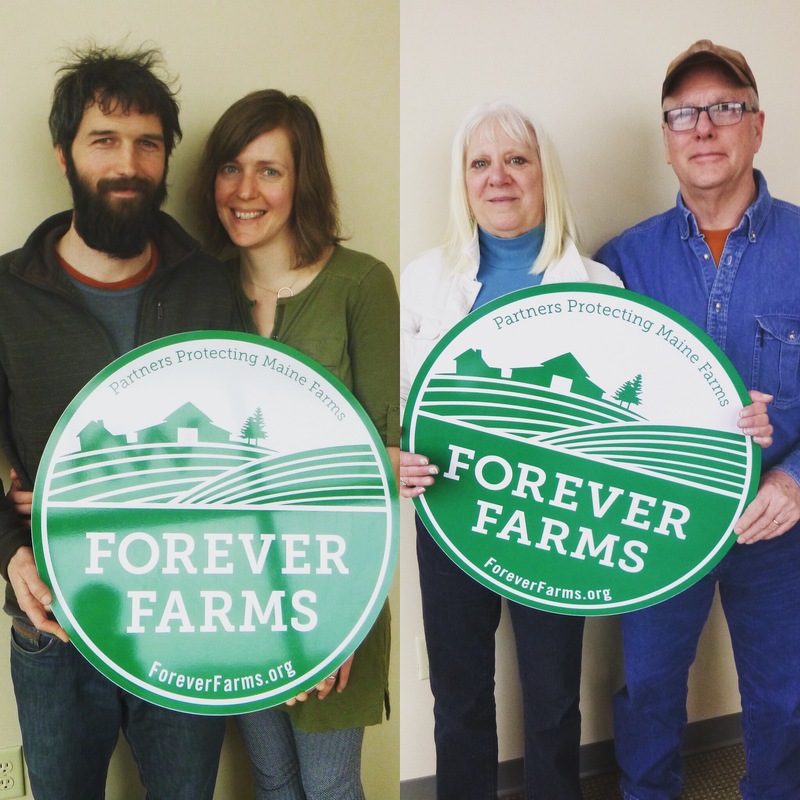 On February 24th, in a simultaneous transaction, Linda and Jerry Covell signed a conservation easement to permanently protect their 70.5 acre farm, and sold the property to young farmers Jeff Benton and Erin Ehlers. The Covells have thought about protecting their Berwick farm for years. After working through a number of options with Maine Farmland Trust and Great Works Regional Land Trust, the Covells were able to find a way to protect their farm and ensure that the property will continue to be actively farmed. The farm includes 31 acres of open field and 40 acres of well-stocked forest. In recent years, the farm has produced hay. Historically, the land was owned by the Emery family and has been operated as a farm since at least the mid-1800s. Jeff Benton and Erin Ehlers will eventually move Benton’s Stratham, NH-based organic vegetable farm, Orange Circle Farm, to the Berwick property. Benton currently grows vegetables for a Community Supported Agriculture (CSA) program that serves the southern coast. Erin Ehlers is owner/instructor of Yoga on the Hill in Kittery. For the 2017 season, Benton will continue to farm on leased land in Stratham while he and Ehlers build a house and barn and prepare the fields for the 2018 growing season on the new property. With the closing of this conservation easement, MFT and Great Works Regional Land Trust have now protected a total of 515 acres on Blackberry Hill Road.